Are your sprinklers Winterized? 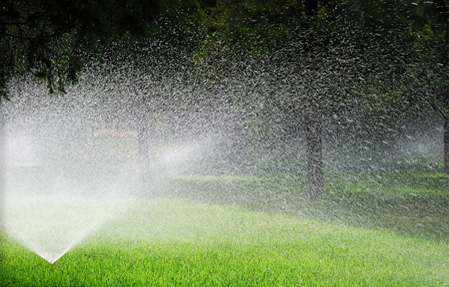 Prepare your sprinklers for Winter! Contact Us Today! 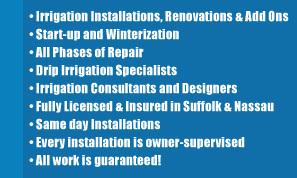 Offering fast and efficient services for new installations, renovations and repairs, and seasonal maintenance for Residential & Commercial Systems. Have peace of mind knowing you are dealing with a well-established and highly experienced company who only uses state of the art equipment, quality parts and maintains a team of experienced mechanics. 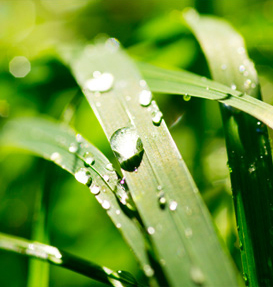 From the smallest residential lawns to major commercial projects, our team and resources can handle any job. Every customer and every job is of value to us, regardless of the size or complexity - we do it right!